Belgium's Thomas Pieters and Thomas Detry held off a late run from the Australian team on home turf to win the World Cup of Golf. The Belgian pair started the day with a five-shot lead at the Metropolitan Golf Club in Melbourne and carded a four-under round of 68 to secure the title. It was a rare uneven round from the pair who were three under at the turn but dropped three shots on the back nine to finish 23 under for the tournament. The Australian pairing of Cameron Smith and Marc Leishman had a clean final round and rose three places up the leaderboard with a 65, but their second-day 76 meant the pair could only tie for second on 20 under. They were joined by Mexico's Abraham Ancer and Roberto Diaz who went round in six under on Sunday. Reigning champions Denmark, represented by Thorbjorn Olesen and Soren Kjeldsen, rose seven places with a 65 and were tied for fourth on 17 under alongside Canada. 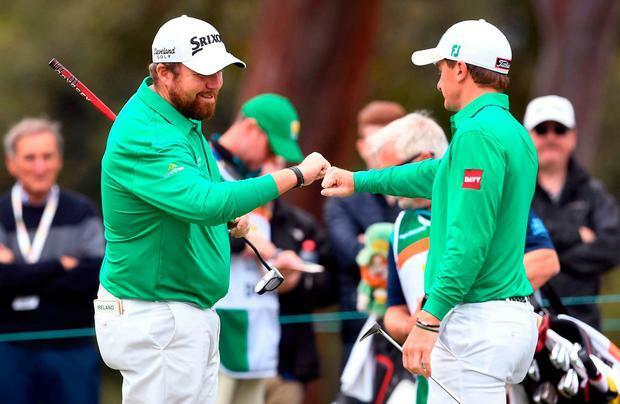 England duo Tyrrell Hatton and Ian Poulter finished eighth on 15 under after a 70 on Sunday, three shots ahead of Irish pair Shane Lowry and Paul Dunne on 12 under, while Scotland's Russell Knox and Martin Laird went round in 73 to finish tied 14th. Ireland finished in a tie for 10th place.